Background/Info: Finkseye is a Swedish one-man project driven by Henrik Fink Nilsson. The band was set up 20 years ago and has mainly released digital productions and CDR. Nilsson was previously involved in the EBM-driven Struma. 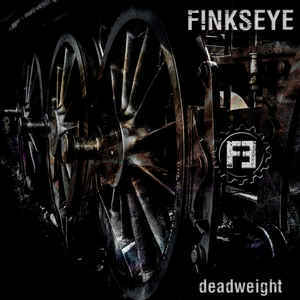 “Deadweight” is the official debut-CD for Finkseye featuring songs that were written during very different periods. The album is also available as digital format on Electro Arc. Content: One of the first noticeable elements running through the work is the dark and doom-like atmospheric part. The vocals are pretty spooky as well creating a perfect match with the dense, dark layers hanging over the songs. The sound of Finkseye is clearly inspired by EBM and dark-electronic bands so I was not surprised to hear that FLA is one of their main sources of inspiration although this work is not a copy of the Canadian EBM master. There for sure is a vintage touch running through the songs while the sonic treatments reveal an intelligent and sophisticated approach. 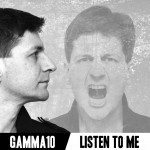 The songs are not exactly driven by furious rhythms but rather by slow, but danceable cadences. The dark side of the work might please to lovers of Skinny Puppy and Yelworc, and also other 90s formations like Lost Image and other bands in the genre. This album features 14 songs plus 3 remixes. + + + : I like the sophistication of the writing resulting in an accomplished production where the global sound treatments and atmospheres recovering the songs are more important than simply power and aggression. “Deadweight” reveals a harmony between the dark atmospheres and ghost-like vocals. There are several great songs featured on this album. – – – : “Deadweight” is a cool and accomplished work, but unfortunately it doesn’t really deliver anything new. 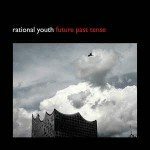 You get the impression of getting back to late 90s EBM productions mixed with a few contemporary elements, but there are no surprises, and so you might get the impression of discovering a rather ‘familiar’ work with predictable songs. Conclusion: Finkseye is an interesting formation that will appeal to EBM lovers with a fine taste. This is a successful album revealing several cool songs. Best songs: “A Broken State”, “This Is What You Get”, “Steal”, “The Stalker”, “Deadweight”.